We had a fantastic road trip in the Aston Martin Vanquish V8S, everything was perfect the car, the roads, the scenery and the hotels it was just a shame ultimate drives could not organise the weather too! 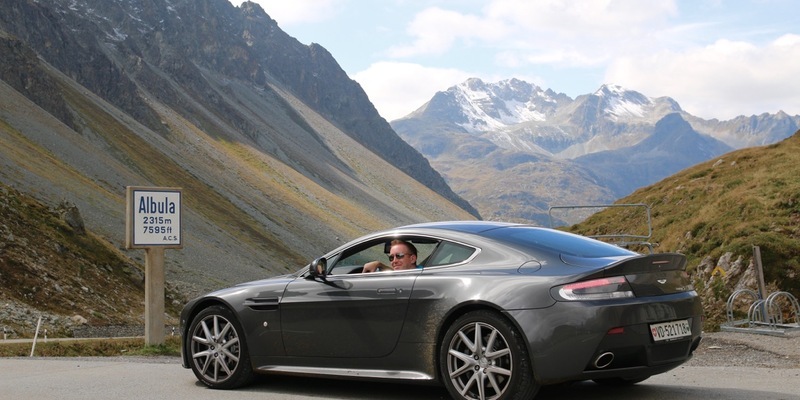 The 007 itinerary combined some of the best passes in the alps with good sightseeing and is highly recommended. Many thanks to Stephan and ultimate drives for their great organisation and a trip that will live long on the memory.